The 2018 iPad Pro is the first iOS tablet with a USB-C port instead of a Lightning connector. There have been rumors that the next iPhone will follow suit. However, Steve Hemmerstoffer (AKA OnLeaks on Twitter) told CompareRaja that the 2019 handset will stick with Apple’s proprietary Lightning port. OnLeaks has a long history of getting early access to Apple devices. He had video of the iPhone XR and XS back in July, months ahead of the official announcement, for just one example of many. The front-facing selfie camera on the next iPhone will have a 10 megapixel resolution, according to Hemmerstoffer. That’s up from the 7MP front cam in the current iPhone XS series. 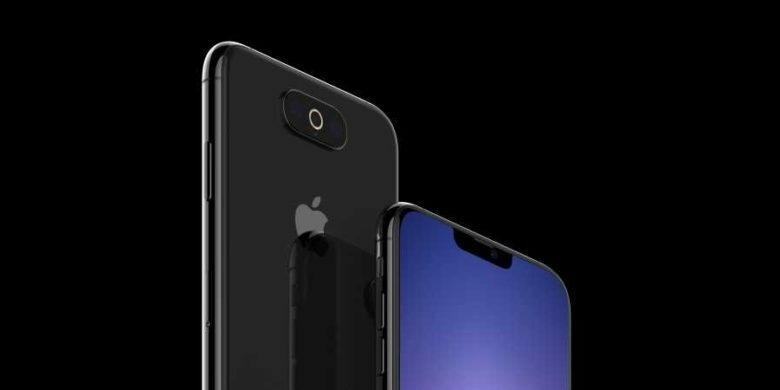 Previously, this source has indicated that the Apple’s upcoming device — supposedly called the iPhone XI — will have three rear-facing camera lenses. Today he asserted that one of these will be 10MP and another 14MP. The 2018 iPhone XS Max has dual 12MP cameras. Hemmerstoffer admits he doesn’t know what the third lens will be for. The flash will supposedly be in a circle around the center lens. Internally, the logic board of the 2019 iPhone will allegedly be placed above the battery rather than beside it. This will allow the battery to be a large square rather than the L shape used in the current iPhone. Apple isn’t expected to take the wraps off these refreshed iPhone models until this fall. When, and if, it will unveil the rumored new iPad mini and updated Pod touch is unknown.